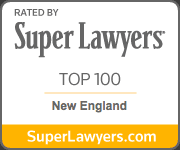 Recently the Office of the Attorney General issued an advisory on the Massachusetts Independent Contractor Law, M.G.L. c. 149 § 148B, which was significantly amended in 2004. In order to overcome the presumption that an individual is an employee, the law, as amended, places the burden on the employer to prove that this individual: (1) is free from control and direction both in his/her contract and in fact, (2) provides a service which is outside the usual course of business of the employer, and (3) is customarily engaged in an independently established business which is of the same nature as the service provided to the employer. The advisory seeks to clarify these 3 prongs and provide guidance to employers regarding the proof they must offer to overcome the presumption that an individual is an employee. Prong one requires an employer to demonstrate that an employer is free from control in fact, not just in a job description or contract, and carries out his/her duties with minimal instruction, uses his/her own approach, and/or dictates his/her own hours. Prong two requires an employer to demonstrate that the individual is performing services that are part of an independent, separate and distinct business from that of the employer, i.e. the individual is performing services which are not an essential part of the employer’s business. Prong three requires an employer to demonstrate that the individual is capable of performing the required services for anyone wishing to avail themselves of these services. The advisory also makes it clear that an employer’s failure to (1) withhold taxes, (2) contribute to unemployment compensation, or (3) provide worker’s compensation, should not be considered in the analysis of whether and employee has bee appropriately classified as an employee. If you have been misclassified as an independent contractor, you may be owed additional wages for your hours worked, including overtime wages. If you believe that you have been misclassified, give us a call..